50 Practical Approaches to Reduce Nervousness, Panic and Screw Anxiety! Anxiety - The natural cure will be revealed! A short listen with easy-to-apply practical tips and powerful knowledge that will help you in no time. There are ways to overcome your anxious feelings and free your life of unnecessary added stress. In this book, you will find ways to overcome anxiety and the feelings that come with it. Believe it or not, there are many ways to help you that do not include taking prescribed medication. 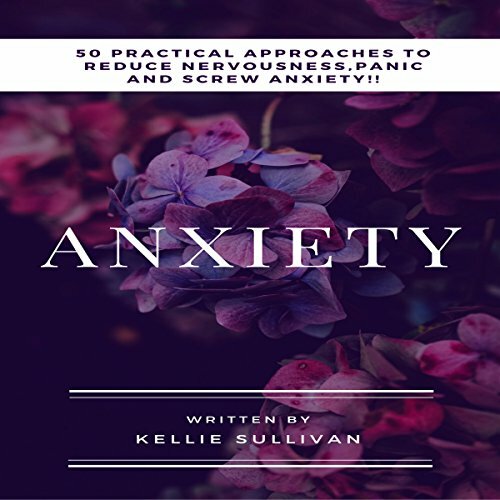 This book contains proven steps and strategies on how to reduce anxiety, nervous feelings, and prevent panic attacks. Anxiety is a disorder that affects millions of people every day and it can really take a toll on the person and the people around them. By the time you are at the end of this book, your anxiety is going to be gone naturally. It would somehow ease your mind, especially if you know that there are natural ways to do it. Take action today and cure your anxiety! Too rushed and condensed for my liking! What did you love best about Anxiety? Some pretty good advice overall. What was most disappointing about Kellie Sullivan’s story? Too rushed and not enough elaboration. What three words best describe Risa Pappas’s performance?